Let us learn to make Paneer at home. 3) Curdled milk water and whey (made earlier). Curdled milk is also called as Chenna, the Indian Cottage Cheese. Milk when curdled by keeping the heat on, the cream content in the milk becomes ghee. This ghee will be discarded, along with the whey, when we separate the Chenna from whey to make Paneer. Whereas when we curdle the milk when the heat is off, the cream content in the milk remains intact with the Chenna thus making it soft. So always remember to curdle the milk by switching off the heat once the milk reaches the boiling point. Now let us learn to make Chenna. Boil milk. When milk reaches the boiling point, switch off the heat. Now slowly add Vinegar to the milk and stir continuously. Slowly the milk will curdle. Do not add all the vinegar at once. Then the Chenna will look scrambled. So add Vinegar little by little and stir to get good Chenna. Squeeze the juice of lemon into a cup. Add this lemon juice to some Luke warm water. Boil milk. When milk reaches the boiling point, switch off the heat. Now slowly add the lemon juice mixture to the boiled milk and stir. Slowly the milk will curdle. Do not add the juice mixture at once. Add slowly and stir continuously to get good Chenna. When you curdle milk keep some whey away to ferment. In winters the whey takes long time to ferment say 2 to 3 days. Whereas, in summers whey ferments in just one day. Milk will curdle easily with the fermented whey. Boil milk. When milk reaches the boiling point, switch off the heat. Slowly add the curdled milk whey to this boiled milk and stir. Do not add all the whey at once. Add slowly and stir continuously to obtain good Chenna. Collect water from the curd. When you make Shrikand, collect water from the hung curd. With this water the milk will curdle easily. Boil milk. When milk reaches the boiling point, switch off the heat. Add slowly the curd whey and stir. Do not add all the whey at once. Slowly add the curd whey and stir continuously to get good Chenna. This Chenna is used to make sweets like Rasagulla, MalaiChop etc… This Chenna can also be used to prepare some gravy dishes like Paneer Matar, Paneer Pasanda etc…, but it should be transformed to a slab form before using. We will see how to transform the Chenna into a slab form. If you press the Chenna (to get it in slab form) while it is still hot, you get less quantity but firm Paneer. Whereas, if you press the Chenna after it has cooled completely, then you get more quantity of Paneer which is not that firm compared to the earlier one. To make this firm, keep this Paneer slab in fridge for one day and there after use it in your dishes. Microwave the Paneer pieces which are arranged in a microwave safe plate for 2 minutes on high power to get firm pieces. Take a slotted plate and spread a muslin cloth in it. Pour the curdled milk along with the whey into this slotted plate. Water will be drained from the slots and there remains the soft Chenna. Observe that there is still some more water in this Chenna. We have to remove this water. For this, bring the edges of the cloth together and press with your hand to remove excess water. This Chenna is now ready for use in sweets like Rasagullas. Remove more water from the Chenna, if you wish to use it in curries like Paneer Matar etc... Invert the slotted plate. Place the Chenna along with the cloth above this slotted plate. Flatten this with your fingers. Now put some heavy weight above this. That heavy weight will press the Chenna to remove excess water. Keep this aside for say one hour to drain all the water from the Chenna. Now you will get a flat slab of Chenna which we call it as Paneer. This Paneer is cut into cubes, squares, triangles or diamond shapes and used in various gravy dishes. These Paneer pieces can be used as it is. They can even be fried in oil for use in some dishes. This way we get Home Made Fresh Paneer. We do not know how old the market Paneer will be and what Chemicals they use to keep it edible, but we can make fresh Paneer at home and provide good health to our family members. Paneer will not remain fresh for long even if you keep it in refrigerator. But Chenna stays fresh in the fridge for long periods. So store Chenna in fridge and make Paneer as and when required. However do not keep Chenna also for more than 3 days. Now as you know how to make Chenna and Paneer at home, make it fresh as and when required. is paner and soft cheese are equal?.we r in paris.good cheese is available here. thanx. priya. i tried to make paneer as suggested in your videos.. it turned out to be very easy and tasty as well.. i tried it with edible rose water to make sure tat it smells gud wen cooked as well.. thanks a lot..
i came across ur website today in youtube videos,when i was searching for how to make panneer.im surprised to see that my name is also gayatri and i also love to learn and practise how to cook different dishes.ur doing a great job!!! ur recipies are really simple very clear and more than nythng they are in our mother tongue telugu...i appreciate you and wish to explore your site evn more from nw..thank u fr all tht g8 work you are doing.. I am a regular viewer of your website. I tried many of your recepies they turnout well. 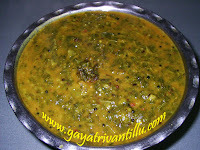 My request is can you post a receipe with Broccoli in our andhra style. 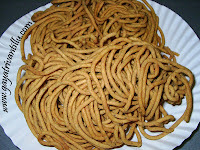 We have seen various Andhra recipes in your website and tried some and found very much tasteful. Thanks for providing the same on your website. I would like to know, whether these recipes write up is available in Telugu instead of English. If available, can you email me the same or provide the link for downloading the same. I really like all of your recipes..but I do not speak your language so I do not understand the names of some of the spices you use...like Vellulili Karapodi..I do not know what that is...Could you please put the English translation for that and other spices that are not in English? My daughter likes paneer a lot..but the paneer we get in Canada is not very good..but I made it using your recipe..and she really liked it a lot! Thank you!Thanks a lot!